The Chris Waller-trained Tom Melbourne will begin his next campaign in the Carrington Stakes. There is something quintessentially Australian about Tom Melbourne even though he is originally from Ireland. His name says he was destined to race here and on Australia Day he will be out to break a winning drought of more than 1000 days in the Carrington Stakes (1400m) at Randwick. It hasn’t been for lack of trying and 13 placings including three at Group One level are testament to his ability. 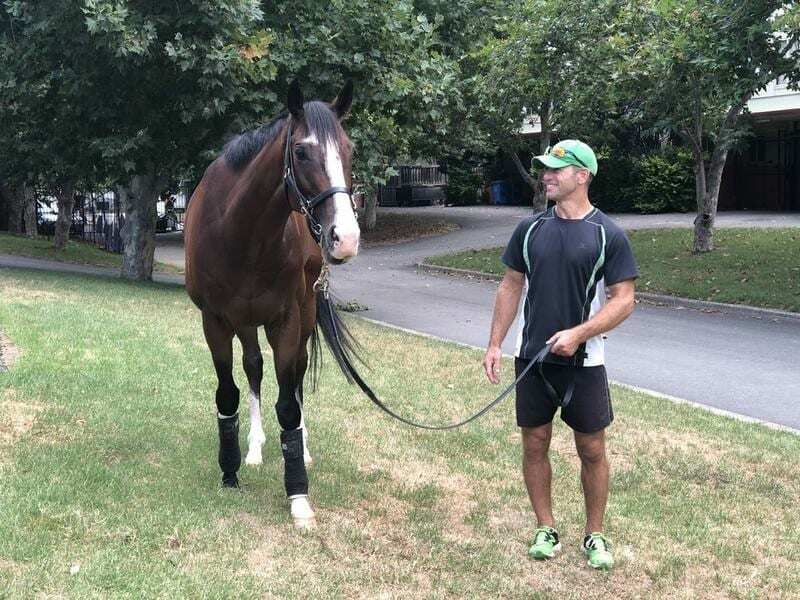 Formerly trained by Lee and Anthony Freedman who won four races with him including the 2016 Albury Cup, the OTI Racing-owned gelding has been in the care of Chris Waller since July 2017. While he may be frustrating for punters, he is also a fan favourite and will be out to cement a spot in the All-Star Mile in March with 10 of the 14-horse field to be decided by public vote. “Of course he will have to be going well to go to the race,” Waller said. Tom Melbourne had a jump-out at Flemington two weeks ago with Damien Oliver telling Waller he had raced well without being too keen and finished off full of running. He will be ridden in the Carrington by comeback jockey Blake Shinn who coaxed a Sydney Cup win from veteran stablemate Who Shot Thebarman last year. Shinn is returning from five months on the sidelines recovering from a serious neck injury. He has got his hand in this week in barrier trials highlighted by his reunion with triple Group One winner Happy Clapper at Randwick on Thursday. Happy Clapper, who handed Tom Melbourne the first of two successive defeats in the Group Two Tramway Stakes in 2017, is also being aimed at the All-Star Mile at Flemington on March 16. The even more appropriately named Aussie makes his debut at the Randwick meeting for Peter and Paul Snowden in the two-year-old handicap over 1000m with Hugh Bowman aboard. A half brother to dual-hemisphere Group One winner Starspangledbanner, Aussie goes to Saturday’s 1000m-race off a winning barrier trial on January 15. “He has trialled well and he’s always shown us a good bit at home,” Peter Snowden said. “They can show you all they want in trials and work but it’s what they do on race day that counts. “He’s drawn a great gate (5) to get the right sort of run so it will be a test for him in a race that looks to have a fair bit of depth in it.